Born in Minnesota and raised in Chicago, Jenny Vincent was educated at a progressive private school and Vassar College. Introduced to international folk music at an early age, she remains a performer and champion of this "music of the people." of D. H. Lawrence's widow. Enchanted with the place and its people, they purchased a ranch that has been Jenny's home ever since. 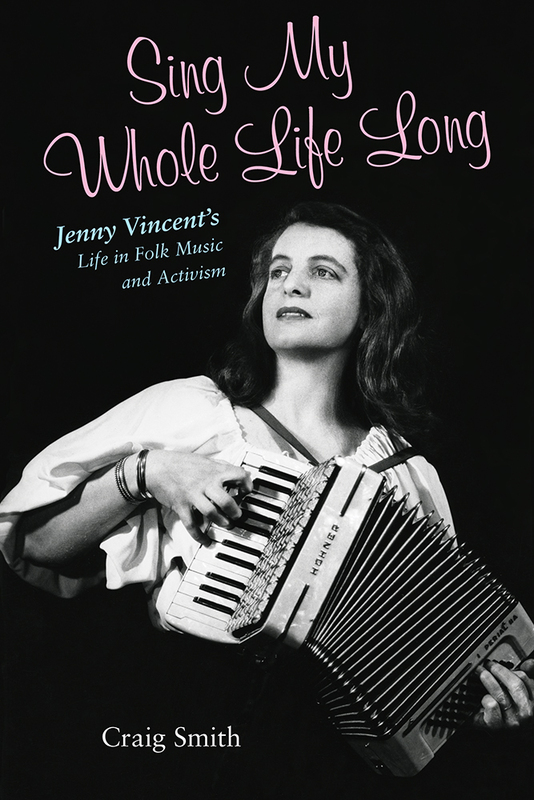 Jenny believed strongly in social advocacy, which she expressed through song. She performed with such luminaries as Pete Seeger, Woody Guthrie, Malvina Reynolds, and Earl Robinson, all social activists who used music as a voice for world peace, civil liberties, and human rights. by the University of New Mexico and the New Mexico State Historic Preservation Division for her many decades as a prominent cultural activist. Craig Smith has a master's in American studies from New York University. He has published poetry and prose in numerous literary magazines and lives near Taos, New Mexico. Ronald D. Cohen's books include Rainbow Quest: The Folk Music Revival and American Society, 1940-1970. John Nichols's first novel was The Sterile Cuckoo and his most recent is The Empanada Brotherhood. In between he wrote The Milagro Beanfield War, a southwestern classic, and sixteen other books. Nichols lives in Taos, New Mexico.